The Last War By Ana Menendez The narrator of the story is a photo journalist that travels with her writer husband, Brando, around the world chasing the latest war story. Always living on the edge, near the greatest danger. Their own suffering is a sort of sacrifice as if they too were in a war. Brando has traveled to Iraq and the narrator, his wife, whom he calls Tunes, is waiting for her papers to arrive to join him. She stays in their apartment in Istanbul waiting, and falls into a melancholy. She receives a mysterious letter detailing the facts of her husbands supposed love affair with another woman. 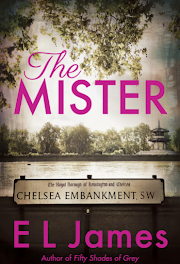 She reignites a friendship with an old journalist friend that she suspects may have written the letter. This novel is loosely based on Ana Menendez's life experience. It is a poetic, sad and heartbreaking peek into a marriage. 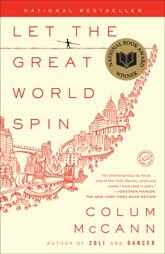 Let the Great World Spin By Colum McCann. New York City, 1974. 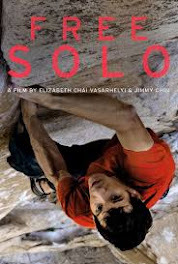 A group of mothers from all walks of life grieve together for the loss of their sons that died in Vietnam, Prostitutes roam the streets and a Irish monk named Corrigan tries to befriend and help them, there is a terrible car accident, Phillip Petit walks a tightrope at 110 stories between the newly built World Trade Centers. If the world is spinning, NYC is at the center of it all. An immense variety of people in a busy city that never sleeps. At first this book appears to be a collection of short stories and it is pleasantly surprising for the reader to find the connections between them all. The characters are unique and likable. They are honest and intense. The tightrope walker is the only non fiction part of the book. 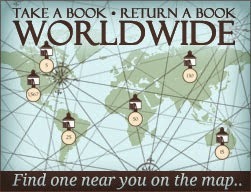 It is very interesting to read that thread of truth weaving together the fictional characters. Colum McCann is a fantastic writer and this novel is definitely one that an avid reader should not miss. What Happened to Anna K.? What happened to Anna K.? By Irina Reyn The story revolves around a community of Russian and Bukharian Jews living in the different boroughs of New York. They generally live, work and marry within their community to retain as much of their cultural traditions as possible. Anna K. is described in detail as a beautiful, artistic soul that struggles to find an ideal place in the world. She craves love, romance of an old fashioned kind and to inspire a writer to fulfill greatness. Katia, another main character is Anna's beautiful, younger cousin, also searching for love, marriage, family etc. Anna is tormented by what she believes her destiny must be and Katia, who has always idolized Anna is devastated when Anna begins a sordid relationship with her ex love. The book is interesting from a cultural viewpoint, their lives are somewhat mysterious to the typical American. The reader wants to care about Anna but her selfishness, conceit and neediness keep us from ever truly rooting for her. Katia is much more likable and the men in the story are also quite interesting to follow. Definitely different and a worthwhile read. Mountain of Crumbs By Elena Gorokhova. 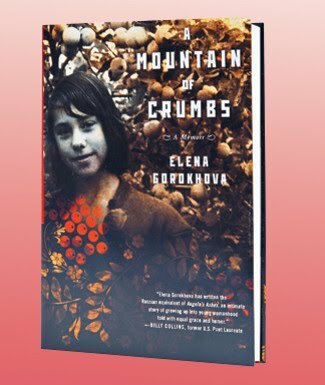 Interesting memoir of a woman that grew up in the Soviet Union during the 1970's. The author describes what everyday life is like in a cold cold Leningrad. Elena had an affinity with the English language from a young age and was determined to learn English and teach others. It seems the more english she learns, the more westernized her mind becomes and she gradually cannot find happiness in the limiting, restrictive world in which she lives. The basic elements of communism that she was taught from a young age start to seem less vital and unfair. Elena cannot grasp the benefit of the struggle of the people. She begins the search for something more in her life. Informative, honest, sweet and witty writing. Really enjoyed the journey through Elena's life.